Top creative and production talent and leaders in media, marketing, music-related organizations and business have already joined this historic program. Peter Asher, the nine time Grammy Award-winning producer (including two as Producer of the Year) with over 60 gold and platinum records in the U.S. alone, will produce the Studio Album. David Leaf, the award-winning writer/director/producer best known for his groundbreaking documentary The U.S. vs. John Lennon will produce and direct the footage of the studio sessions, interviews, the VIP live event and the national talent finals that will form the basis of the broadcasts, DVD release and movie theater premiere. 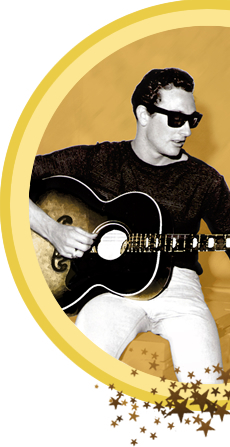 Listen to Me: Buddy Holly album includes tracks by Stevie Nicks, The Fray, Jeff Lynne, Natalie Merchant, Patrick Stump, Jackson Browne, Chris Isaak, Cobra Starship, Pat Monahan of Train, Imelda May, Brian Wilsonand more. Look for it around Labor Day!